Sports are one of the biggest reasons that people are afraid to cut cable. For years, the only way to watch sports reliably and with a good picture quality was to lock yourself into an expensive cable contract. 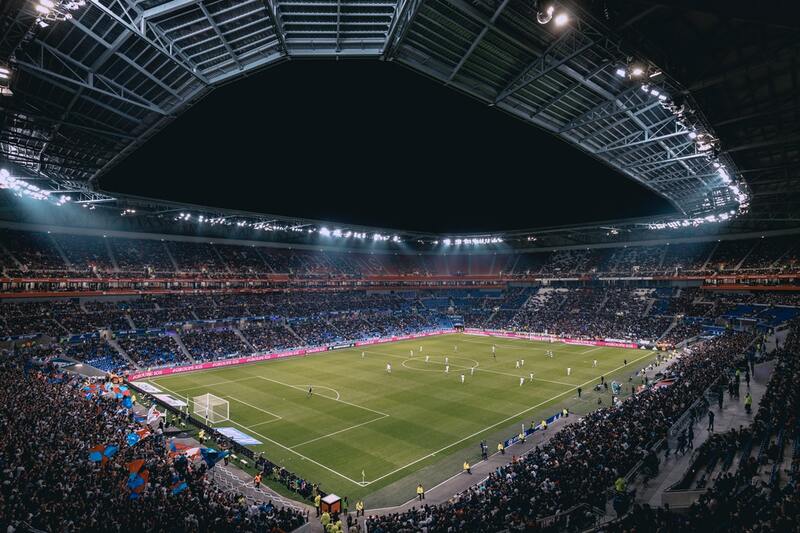 With the rise of cord cutters and cord-nevers, sports stations are turning to streaming services to get their matches in front of viewers and the World Cup is no exception. Sling TV might be the cheapest way to watch the World Cup without cable, but it might not be the best option for you. With so many streaming services available, not only can you watch the 2018 FIFA World Cup, you have a few high quality options to choose from. We’ll explain each service, organized by price, so you can choose the best way to watch the World Cup without cable and without worry. What channel is the 2018 World Cup on? If you’d rather see an organized website than the printable match schedule, FIFA.com shows the matches for every day as well as their locations and times. IMPORTANT: Keep in mind that the times are all in Moscow and are UTC +3. There are a few exceptions to this time zone conversion. If you’re a yank like us and want an easy way to tell the game times, mlssoccer.com has a schedule with major US time zones displayed. FOX bought exclusive rights to air the English language world cups for the years 2018 and 2022. They paid a reported $400 million dollars in 2011 and for the first time since 1986, the USA team didn’t even qualify. USA team or not, FOX is gearing up to air all 64 matches live divided between their broadcast network and FOX Sports 1. Their broadcast network (your local FOX station) will play 38 matches while the remaining 26 will be available on FOX Sports 1. You can also watch all of the matches on Telemundo if you don’t need the games in English. If you’d rather watch all the games in one place, FOX Sports GO is their online streaming service that lets you watch the matches when you’re away from your TV. Although a free download, FOX Sports Go does require you to log-in with your credentials from a paid service. Typically, the log-in is for your cable provider and proves to FOX that you’re paying for the content. 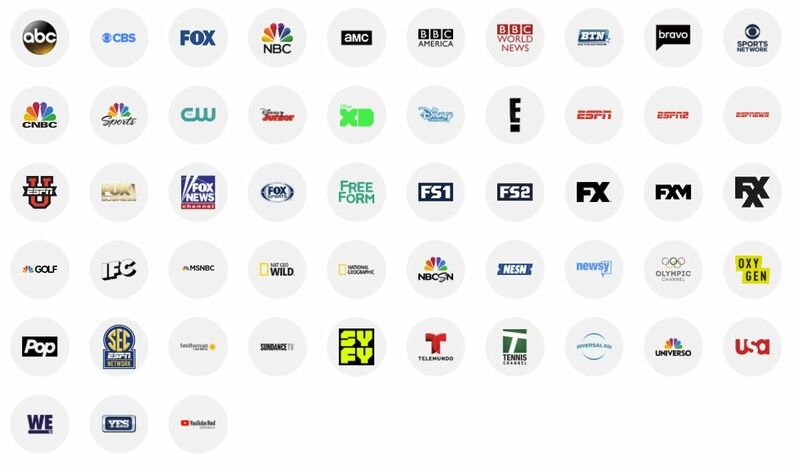 However, FOX Sports GO does accept log-in credentials from a few of the streaming services mentioned in our list below and is an alternate way to watch the matches. We’ll make sure to note if the each service supports FOX Sports Go log-in or not. When comparing ways to watch the World Cup without cable, it’s hard to compete with “free”. You can get the FOX broadcast network for free over-the air, but keep in mind this won’t let you watch the 26 matches that are going to be played on FOX Sports 1. FS1 is not an over the air network and you’ll need one of the streaming services from the sections below for those matches. Although there are plenty of illegal streaming sites that will air the matches, we try and point our readers to more legal ways to watch content. Why risk viruses and lawsuits when there are other, more reliable ways to watch the same thing? When we tell people they can watch live local channels like FOX for free, they immediately assume we are referring to one of these questionable sites. However, what a lot of people don’t realize is that there are a few dozen networks that are broadcast over the air and are available to be picked up with an antenna. Antenna stations are thought to be fuzzy, unreliable, and a pain in the neck to deal with, but that’s completely untrue. With modern transmitting stations and new antenna technology, channels picked up with an antenna are often higher quality than cable and equally as reliable. 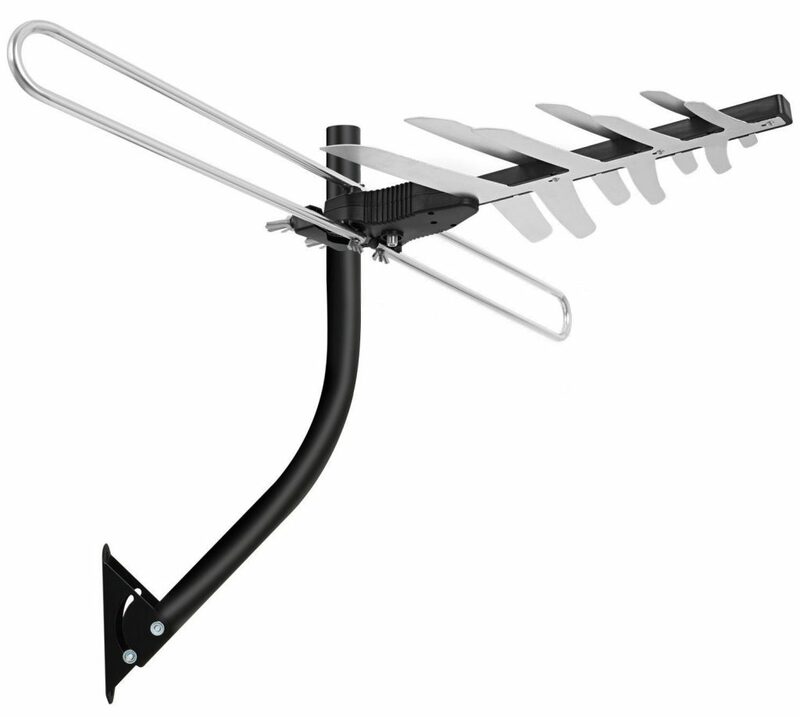 An antenna is a one time purchase (typically <$50) that will quickly pay for itself. The streaming services we’ll discuss below offer more channels than an antenna, but range from $25-45 a month. You’ll start saving money after only one-two months with an antenna setup compared to a streaming service. We also commonly recommend an antenna in conjunction with a streaming service to get channels that the service doesn’t carry. For example, Sling TV doesn’t carry CBS; a channel that might be available at your location through an antenna. The biggest issue with antennas isn’t their set-up or reliability, it’s their dependency on location. Our Boston office is surrounded by plenty of signal towers that are easy to pick up with a small indoor antenna, but what happens if you’re in a rural area surrounded by trees? Landscape, distance from signal towers, and even your home’s construction materials can all impact which stations you can pick up. Put your information into their form. Try and be as accurate and realistic as possible for potential antenna height since height has a major influence on signals. On your TVfool report, look at the ==Channel== section of the multi colored table. Find FOX under the Netwk column (fourth column from the left) and note its color. Use the following image to determine which type of antenna could potentially pick up FOX. Once you determine if you can watch FOX with an antenna, take a quick look at the other potential channels you could get. Although the World Cup only lasts a month, these are the channels you’ll be able to pick up much longer than that. The best part? They’ll stay free. There is a lot of other important information on your TVfool report that we discuss in our antenna article that will help you get a more realistic idea on the channels you could pick up. 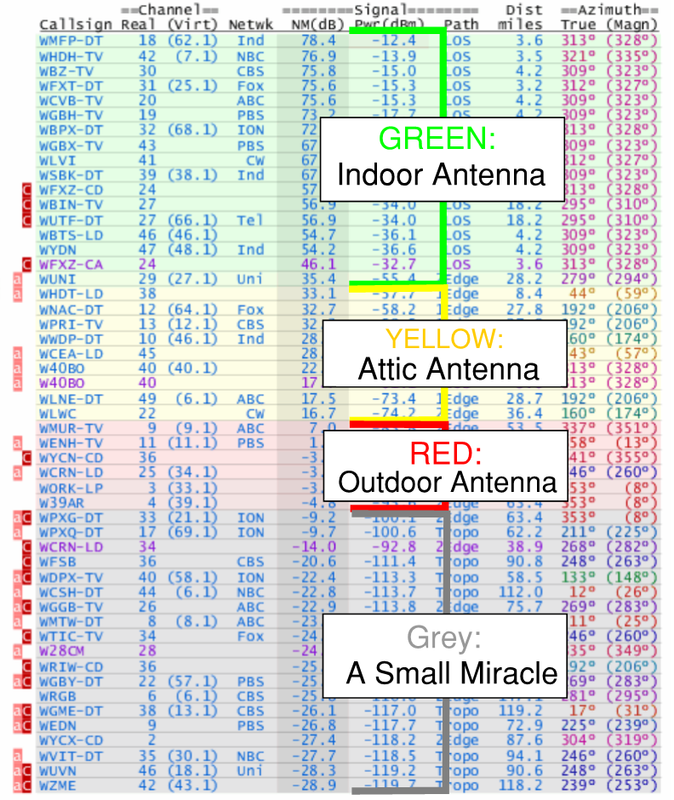 We also have an extensive indoor antenna guide as well as an attic antenna guide that go over specific brands and models for each type. We highly recommend taking a look through these articles before ordering an antenna only to be disappointed in your channel availability. Antenna’s aside, the cheapest way to watch the World Cup without cable is through the biggest name in the streaming industry; Sling TV. Sling TV is not only the biggest name, it’s also one the cheapest. Rather than offer a few packages with a bunch of channels, Sling divides the service up into smaller packages you can choose from. By having a few small “core” packages and a whole slew of cheap “add-on” packages, Sling gives its subscribers customization not available with other services. 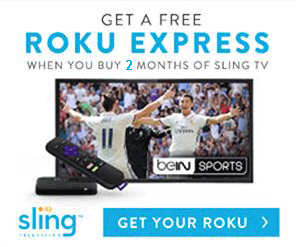 While not as “al la carte” as they say, Sling TV is about as close as you can get. Luckily, FOX and FOX Sports 1 are included in one of the core packages. The Blue package costs $25 a month and includes over 40 channels. In addition to FOX and FS1, some of the other notable sports channels include FOX Sports 2, NBC Sports Network, and the NFL Network. The table below shows the current Sling Blue channel lineup for our Boston office, but your local networks may vary. 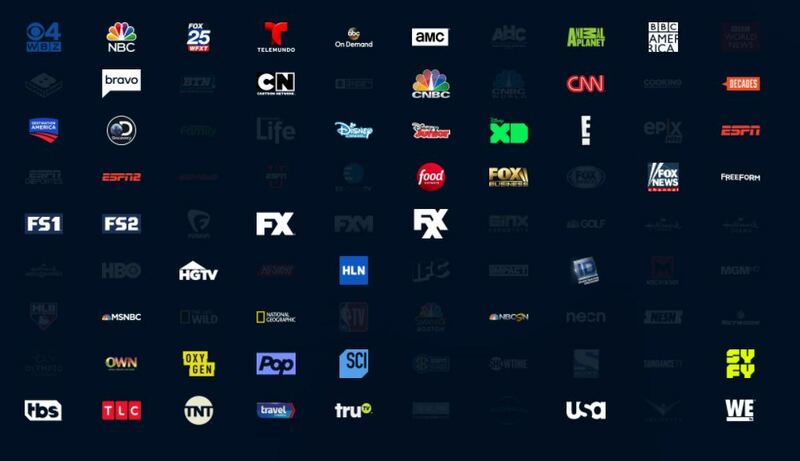 To view all of Sling’s packages you can either visit their website or read our full Sling TV review to get a better understanding of the service. Another benefit of choosing Sling is their numerous discounts and device offers. The 7 day free trial that they offer is typical in the streaming industry, but their device offers are where they really shine. Knowing that most first-time cord cutters don’t have streaming devices, Sling offers them for free if you’re willing to pre-pay a few months of the service. 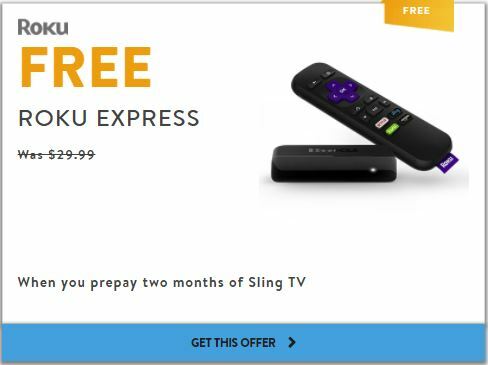 Our favorite offer gets you a free Roku express, a $30 device that we typically recommend to our readers, if you pre-pay only 2 months of Sling. This puts a higher total cost for the service up front, but also eliminates the immediate cost of buying a device. Instead of paying $30 for a Roku Express up front and then $25 each month for the next two months, you pay $50 up front and save the $30. Sling offers a variety of discounted channels and devices that we’ve rounded up and included in our Sling discount and offers article for your convenience. DirecTV Now is in a tight race against PlayStation Vue for the “most confusing streaming name” award. Given the name, you’d probably think that DirecTV Now is similar to DirecTV; an expensive satellite service with a contract. If you thought that, you’re not alone. While both owned by AT&T, the two services couldn’t actually be any different. The only thing they share in common (besides their name) is that they offer live cable TV channels. DirecTV Now is a streaming service much more closely related to Netflix than DirecTV. It’s a month-to-month service that costs between $35 and $70 and offers 70+ to 130+ channels, based on the package you choose. There’s no hardware to rent and of course no satellite dish to worry about. You can also cancel at any time you want without an early termination fee. If you want to go with DirecTV Now to watch the World Cup without cable, you only need to worry about their smallest package. This package is called Live a Little and is the $35 package with around 70 channels. It’s a bit more expensive than Sling TV, but it comes with significantly more channels. The image below shows the current channels available at our Boston location in white. The other channels are available by increasing your package size as well as the monthly cost. DirecTV Now has one of the largest lineups of local stations available. They offer local ABC, CBS, FOX and NBC in a lot of market areas, but not everywhere. To see which local stations are available to you make sure to check their channel lineup page for yourself. Besides the minor price increase, DirecTV Now does have another minor downside versus Sling TV. Sling TV offers a cloud DVR service for only $5, which is great for something in another time zone like the World Cup. DirecTV Now has announced multiple times that they are rolling out a DVR sometime in early 2018, but as of right now it’s still in beta. If you were hoping to record some World Cup matches that you couldn’t watch live, DirecTV Now might not be the best option. If you’d rather not watch the World Cup on Sling or DirecTV Now, you have a few other options. Each of these costs $40 a month, making them slightly more expensive than DirecTV Now and quite a bit more than Sling. Technically, Hulu with Live TV only costs $38.99 a month and if you already have a regular Hulu account to watch on-demand content, adding the live TV channels only adds $32 more. All three of these services offer different sized packages with various channel line-ups. YouTube TV is fantastic for sports, but only has a “one size fits all” package option. 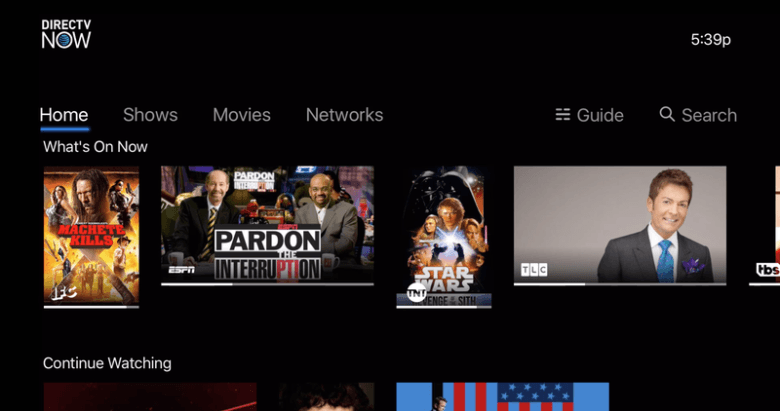 It includes a free DVR with unlimited storage, but forcing on-demand content with un-skippable commercials in place of recorded content has been giving YouTube TV a bit of bad press lately. Hulu is one of the biggest names in streaming and has been going head-to-head with Netflix to be the best service for binge watching. In addition to their massive on-demand library, Hulu has started offering live TV channels with their aptly named Hulu with Live TV service. It has a lot of the more popular channels, but suffers from the lack of options like YouTube TV. If you think you’d use their on-demand catalog, then Hulu with Live TV should definitely be a consideration. It only costs $1 more a month to get the on-demand content when you get the live channel subscription and you’re sure to get your money’s worth. PlayStation Vue is another option to watch the World Cup without cable and a good one at that. It may be a little bit more expensive than some of the others, but its lineup of high quality channels means we find ourselves recommending it quite often. Much like its competitor DirecTV Now, PlayStation Vue could seriously use a name change. You DONT need a PlayStation to use the service. You can if you want, but you can also watch PlayStation Vue on almost every major streaming device. PlayStation Vue has four packages that range from $39.99 /mo to $74.99 /mo. You’ll only need the small package, Access, to watch the World Cup, but options are always a good thing. If your household watches a lot of channels, PlayStation Vue can make the transition to cord cutting a lot less abrupt. Their channel lineup includes most of the popular channels, but offers a wide range to please a lot of tastes. There are plenty of sites that fall into the grey area of the law that will stream the World Cup for free. We hope that by showing our readers the cheap and legal ways to watch their content, we can prevent some of them from using these shady sites. Knowing some of our readers will still use them, we want them to at least be safe while doing so. We’ve written up a guide that outlines some of the “illegal” streaming sites and gives a brief description of each one. We recommend using a VPN to encrypt your browsing data and spoof your location so these sites (and any corporate lawyers) can’t use it against you. We also can’t recommend using an ad-blocker enough, although most of these sites have ads that get around them. Most importantly, DON’T DOWNLOAD STUFF FROM THESE SITES.